We are providing following FREE GIFTS to our customers on online birthstone or birth stone jewelry. On request of our customer, we can energize birthstone jewelry (ring / pendant / bracelet etc.) before sending it to his address. 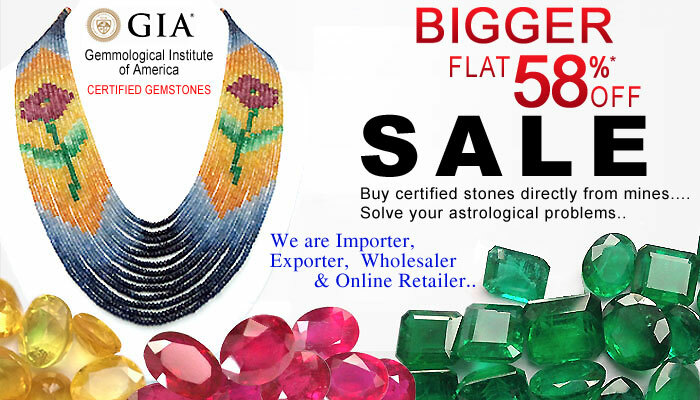 We employ holy peoples (a team of great and well-known pandit jee) to energizing the birthstone jewelry in our place. Pandit Jee use best steps to energize the birthstone jewelry which ultimately gives spiritual, mental and physical benefits to its wearer. In order to get maximum benefits from birth stones, it needs to be energized also known as Praan Prathista prior to its use for the first time. Our birthstones are certified by govt. recognized gem testing laboratory. We send every gemstone in 3rd party gem testing laboratory (government approved gem testing laboratory) for testing. We also provide lab’s original testing certificate to buyer with purchased stone(s). Our buyer can check certification details (with stone dimensions & photograph) on testing laboratory’s website from worldwide. We sell natural certified birthstones. Our birthstones give very good results and high energy to its weavers. We also provide gold/silver hallmarking certificate to customer. On lab testing certificate its clearly written gold / silver purity.